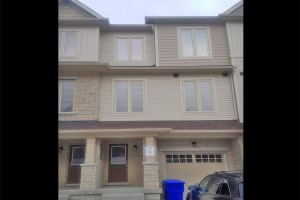 Spectacular Brand New, Never Lived In, 4 Bedroom Townhome In The Heart Of Brooklin Built By Sorbara. Over 2200Sf Of Living Space! 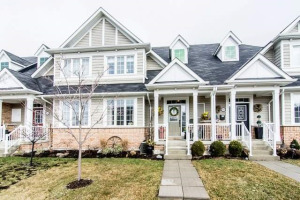 Featuring 9' Main Floor Ceilings With Hardwood Floors, Stained Oak Stairs & Gas Fireplace In Great Room. Kitchen Features Granite Counters & Pot Lights With Walkout To Huge Terrace. Very Bright Ground-Level Rec Room With Access To Garage And 2Pc Bath. Master Bedroom With Walk-In Closet And Ensuite With Glass Shower. Stainless Steel Fridge, Stove, Dishwasher. White Washer/Dryer. Air Conditioner. 7 Year Tarion Warranty. Parking For 4 Cars. Photos Are Of Model Home. Finishes And Colour Selections May Vary From Photos.